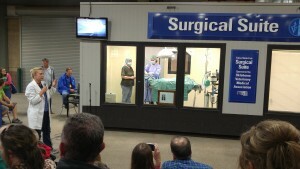 It was a few weeks ago, but I had the pleasure of being a narrator at the Tulsa State Fair Surgical Suite again this year. It is always a lot of fun! 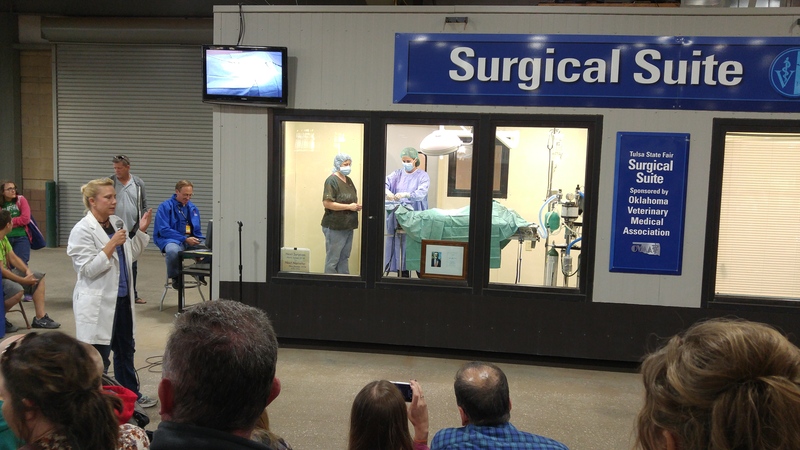 We demonstrated an ovariohysterectomy (spay) on a dog from beginning to end to help show what goes on in the surgery room. Check it out next year if you ever want to watch!